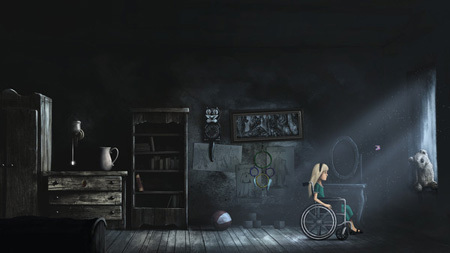 Lucid Dream is a handcrafted emotional point and click adventure game from Dali Games. The game is about the story of little Lucy, who goes on an adventure into the world of dreams with the mission to save her mother. During the mission to save Lucy’s mother, you will discover worlds such as Lunar roofs, Oneiromancer’s Planet, Land of Souls, Hills of Grief, Mind’s Atelier, Deserts of Time, and Swamps of Seeing. You will find almost 200 items in the game and meet lots of amazing characters, such as Oneiromancer, Watchmaker of Light, Angle Metatron, Blind Manticore, or The Dreamweaver. If you get stuck in the game, check out the video walkthrough and gameplay for the game. This entry was posted in PC Games, Walkthrough and tagged Lucid Dream Cheats, Lucid Dream Cutscenes, Lucid Dream Endings, Lucid Dream Game, Lucid Dream Gameplay, Lucid Dream Guide, Lucid Dream Hints, Lucid Dream Review, Lucid Dream Solutions, Lucid Dream Strategy, Lucid Dream Tips, Lucid Dream Walkthrough by Marvin. Bookmark the permalink.